Dr. Raskin discusses psychotherapists’ dissatisfaction with the DSM-5 and suggests some principles for building alternative models. Dr. Raskin’s research is focused on constructivist meaning-based approaches in psychology and counseling. He recently authored a textbook titled Abnormal Psychology: Contrasting Perspectives. JJ: Welcome, Jonathan. I’m very excited to have you. Is there anything else you want to add about your background for our readers before we get started? JR: No, not at all. Thank you for inviting me to do this. JJ: Let’s get started. What made you interested in working on alternative diagnostic systems for use in psychotherapy? JR: Yeah, that’s a good question. I’ve always been interested in how people make meaning, and diagnostic systems are the way that mental health professionals make meaning of their client’s experiences. So to me, all diagnostic systems are meaningful systems for making sense of the problems our clients bring to us. JJ: You take a constructivist approach to thinking about diagnosis. Can you break down what that means for us and how it applies to this issue of diagnosis? JR: Many theories fall under the banner of constructivism, but broadly speaking, constructivism focuses on how people both individually and in conjunction with one another (and in more social kinds of configurations) construct understandings of themselves and the world. Then they use those constructions to guide their lives. To me, constructivism seems like an excellent theoretical approach to use in understanding diagnosis because each diagnostic approach can be viewed as a constructed meaning system for understanding and conceptualizing client concerns. JJ: Several alternative diagnostic systems have been promoted in recent years, including HiTop, the Power Threat Meaning framework, RDoC, and the PDM. What are your thoughts on these alternatives? JR: I think they’re all interesting in their own ways. Let me talk about a few of them. I’ll start with HiTop. 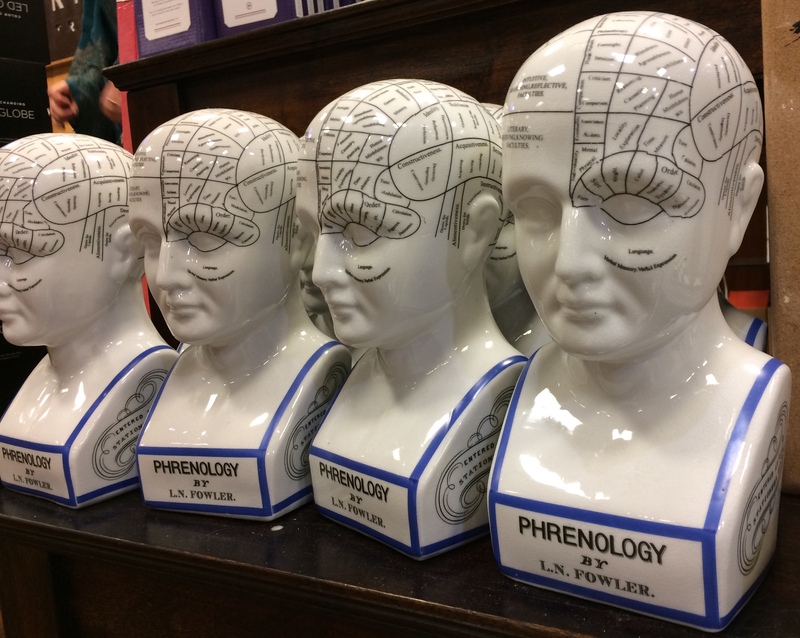 That’s the hierarchical taxonomy of psychopathology. It’s a dimensional approach that tries to address the problem of comorbidity that afflicts DSM categories. Comorbidity is a confusing issue for people. When disorders are comorbid, they’re diagnosed at the same time. 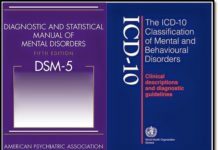 One of the problems is that a lot of the DSM diagnoses are comorbid with one another. If you have too much comorbidity, the question that arises is, are the categories that we’ve constructed distinct from one another? HiTop thinks that comorbidity should be embraced instead of rejected. They say, “Yes, these DSM categories cluster together, we can group each of them under these broader spectrums.” The HiTop system uses six spectrum dimensions. Ultimately, the people who created HiTop feel that DSM disorders might be discardable, but for the time being, we can keep them. They say that there are really these co-morbid overlapping categories underneath these higher levels, six distinct spectra. HiTop sees this as a simpler approach because you can divide people’s problems into how they score along these six different spectrum dimensions. It’s still very early going. I think it has a lot in common with the big five personality research. If you like those, you’ll like HiTop. If you don’t like those, you might not be a fan of HiTop. Let me talk a little bit about RDoC. RDoC is the research domain criteria system. It’s a research initiative at the moment. It’s not a diagnostic system yet. They’re trying to build a diagnostic system from the ground up, and they’re doing that by trying to identify the ways that the brain is designed to function. Then, and only then, they will identify ways that it malfunctions. And so the categories that they create will be based on their identifying and diagnosing these specific malfunctions. The people involved in RDoC say, “We’re doing this in the right way, whereas the DSM does it backward.” DSM starts with categories and then researchers race around trying to find out what the biological correlates of those categories are. RDoC says, “Let’s understand the brain and how it works and then build categories based on observable differences between healthy and unhealthy brains.” It’s a very medical model kind of approach. And if you like that, you’ll like RDoC. If you don’t like the medical model, you won’t. What’s really fascinating about [RDOC] is the idea that it wants to build the system from the ground up. It is not yet a diagnostic system; it’s a research initiative. We don’t have the ability to identify any kind of presenting problems based exclusively on these kinds of biological biomarkers just yet. Then there’s the Power Threat Meaning framework (PTM), which is going 180 degrees in the other direction. PTM shifts the focus. It moves away from the medical model. It actually doesn’t consider itself a diagnostic system. It rejects the idea of medical model diagnostic systems. It says that we need to depathologize people’s problems by focusing on what the PTM identifies as the actual causes. It says that economic and social injustices are the root causes of emotional distress. The origins of distress lie outside the person. RDOC looks inside the person, and I think the DSM, in many respects, implies that it’s inside the person. PTM emphasizes what has happened to people on a socio-cultural level and then how they’ve responded to it. It’s a totally different approach. It’s a non-diagnostic approach. Another approach is the Psychodynamic Diagnostic Manual (PDM). From its name, you can tell it’s an explicitly psychodynamic diagnostic manual that diagnoses problems through the lens of psychodynamic theory. So whereas the DSM has traditionally been atheoretical, in the sense that it’s a descriptive, diagnostic manual describing problems, but it doesn’t take a stance on what causes them, the PDM roots its approach explicitly in psychodynamic theory. All of these approaches are really interesting in their own way. The question is whether or not they’ll catch on. JJ: You don’t think that there is one particular diagnostic system that our society should switch to, is that correct? JR: I view diagnostic systems as tools. Like hammers, they’re really helpful instruments. However, depending on the task I’m up to, I might be better off with a wrench or a pair of pliers or some other tool instead. So, I find it helpful to use the tools metaphor when considering diagnostic systems. One might find a given diagnostic system useful, or not, depending on the situation. Of course, it’s always important to remember that diagnostic systems provide maps that can guide us, but we have to be careful not to mistake the map for the territory. I think the biggest barrier to developing viable alternatives to the DSM and the ICD is that these approaches cross theoretical perspectives by being mainly descriptive. But, when it comes to how a diagnostic system informs treatment, descriptive approaches, in many ways are lacking. That is, they don’t take any stance on how to best approach the problems they identify or describe. So, their wanting to script nature makes DSM and ICD easy for everyone to adopt regardless of the theoretical viewpoint. But any theoretically driven system, things like the PDM or the power threat meaning framework or RDoC even, those systems in many ways might struggle to gain mass acceptance because their theoretical commitments will turn people off. Somebody who doesn’t like a medical model brain approach won’t use RDoC. Somebody who’s really opposed to psychodynamic theories, or just not interested in them, won’t use PDM. Somebody who doesn’t take a social justice orientation to problems might not like PTM. By being theoretically well developed and informative about how to conceptualize and approach client problems, these alternative diagnostic systems ironically make themselves less broadly appealing. That can be a challenge for them. But, if they are tools you don’t have to stick with just one, you could jump around from one system to the next depending on what you’re up to that day. JJ: What about insurance companies? 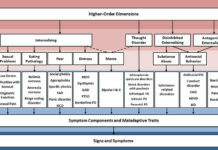 What do you think an alternative to the DSM system that could be used for insurance purposes would look like? JR: I’m not sure. It’s been suggested by a lot of people that a very practical thing we can do is use the DSM-5 V codes (which list circumstances or experiences, such as “Homelessness,” “Poverty,” and “High Expressed Emotion Level Within Family”) because that might let us identify presenting problems while being less medicalizing and stigmatizing. Practically, those codes already exist, but we would need insurers to cover them for clinicians to begin using them. One of the reasons they don’t get used is that insurance companies don’t cover the code diagnosis. As I was describing a minute ago, I think theoretically coherent systems might prove to be more helpful to clinicians in a practical, everyday manner but they’re less likely to be appreciated and used across clinicians and different theoretical orientations. That’s the challenge. Being theoretically consistent and pure and developing something that a smaller group of people might like to use versus having something that would kind of cut across all theoretical orientations. The latter might be more descriptive, but potentially not the most clinically useful, but would help grease the wheels of insurance. JJ: Can you talk more about the importance of including service users and people with lived experiences in the development of any future alternatives? JR: I think it’s very important to listen to service users because they’re the ones impacted by whatever diagnostic system we develop and use. So we really need their feedback, especially if we want to avoid inadvertently harming them. JJ: How do you think diagnoses should be approached in therapy? How do you recommend clinicians approach these topics with people who come to see them? JR: I think we often draw sort of an artificial line between diagnosis and treatment. George Kelly was the psychologist who developed personal construct theory, and he used to say that therapists have to continually revise their understandings of clients because clients are always in process and forever changing. That’s why Kelly used the term transitive diagnosis. He said diagnoses are transitive because they are continually evolving. 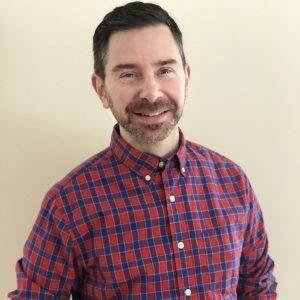 So given that, regardless of the diagnostic approach that a therapist takes, it seems to me very important for the therapist to not reify the diagnosis made because I think doing so locks the client in place in a way that can be highly limiting. That would be true across different diagnostic systems for me. Whichever system somebody’s adopting, you have to be careful not to be too literal or reifying about that system. So to me, thinking of diagnoses as meaningful constructions, as created understandings that might -for the time being- inform what we’re doing, is terrific. But when we shift to seeing them as essential, unchangeable things we can lock ourselves in, and we can actually also unintentionally harm the people we’re working with. JJ: More of a living system. JR: As Kelly said, you have to keep up with your clients. They’re always in process, and you better keep up with them because if you’re still using last week’s a conceptualization and understanding, well, they may have moved on. JJ: Is there anything else that you wanted to add or talk to us about before we wrap up? JR: No, I mean just that I think this is a growing area that people are expressing interest in. I sense that a lot of clinicians don’t really know much about different alternatives beyond the DSM and the ICD. And so, one of the things that I’ve been interested in recently is just helping the field have more knowledge; helping the clinicians out in the field become aware of approaches that they may not know much about. My sense is that clinicians are hungry for alternatives, but they don’t necessarily know what the alternatives are. And then, at the same time, they also feel trapped in the sense that in order for them to get paid, they need to use the DSM. But it doesn’t mean, even if the issues of reimbursement haven’t been resolved for other systems, it doesn’t mean that they can’t learn about and begin using these other systems in addition. It doesn’t have to be an either-or. So my goal is to learn more about these diagnostic alternatives myself and then to help others out in the field learn about them as well. JJ: I think that’s really great. Just talking about alternatives and getting the information out even if we do not necessarily subscribe to them or use them. JR: Having an open discussion and dialogue about them is important, and I think people are very quick to make judgments about which approach they like or dislike. But I think if you want to develop alternatives, you have to be open-minded and be willing to talk with people who might be developing alternatives that are very different from what you yourself might develop and appreciate that each alternative may have advantages to it as well as disadvantages. JJ: I’m excited to see these theories evolve and to see how the field continues this conversation and I’m glad that you’re a part of that. Your textbook compares and lays out the alternative diagnostic frameworks, right? JR: Yea, one of the things that I was very excited to do in the book was to present alternative perspectives across both diagnosis and treatment interventions. In the diagnosis chapter, I talk about RDoC; I talk about HiTop; I talk about the PTM framework; Because I think it’s essential for students in the field to learn about these approaches. If we want to disseminate information about them, we have to cover them in the places where students are learning about them. I also spend a lot of time on DSM and ICD because those are the most influential approaches today. So all of them get covered, and they get covered as perspectives. Each one is a diagnostic perspective that a person might adopt depending on what the goal is in the given moment. JJ: Well I have to say, I really appreciate you doing this work. I appreciate your perspectives. I appreciate you coming on today and sharing this information with our readers. I do agree with you. I think it’s so important to get this information out to people. Thank you so much for talking to us, and I look forward to hearing more about your work. JR: Thank you very much. The truth is the proper answer to false empiricism. James Hillman (“Re- Visioning psychology””Suicide and the soul”), Szasz (Manufacture of madness), Breggin, Whitaker. We already have answers, but no one want to know the truth. Society do not want to know the truth about psyche, they prefer convenient lies.Like theology or spiritualism in the place of psychological reality. We do not want to know the psyche, we want psychiatry. Because psyche is everything that is beyond the interests of spiritualists or materialists. Psychiatry has more than 10.000.000 victims (more than Holocaust) but we still want to “cure” people rather to accept the psychological reality. Grow up, please. Grow up and try to face the truth about psychological reality. This is not religion, this is not materialism. We must rebuild the proper image of the psyche, because it was destroyed by materialists and their convenient believes. Theology is not psychology and psychiatry still is a theology in medical disguise or materialistic believe that apollonic perception is in the center of the psyche. In the center of psychopathology are autistics and schizophrenics, not normal people, not apollonians. The rest, including depressed people, belongs to apollonic perception. Which is highly antipsychological, because those people are beyond psychological reality and they do not believe in other perception than their own. They are EGOists. Why they want to “cure” depression or schizophrenia? Because no one believes that those feelings are real or humane. Only apollonian ego (alleged christian spirit) is real and humane, the rest of the psyche was send to hell by religion, and now psyche belongs to satan. Human psyche is the antichrist. And the church is afraid that antichrist will reveal their lies. “sent”, sorry.Psychiatry is theology in medical disguise. Normal people belongs psychologically to the assumptions of monotheism. And they represent nothing more than monotheism. Religious monotheism is a small cage imposed on the polytheistic nature of human psyche. Psychological reality do not belong to the limited and strict materialistic third dimension. Psychological men represent something more than normalcy, so they are rejected. Religion and normalcy are something less than psyche (psychopathology) but still they want to control something which means more then they themselves. We must learn to read the life of people like Anneliese Michel in psychological way. Because psychiatry is sabotaged by theology and therefore remains blind on human psyche. We must see the psychological meaning. We must give back the psychological meaning to people who were betrayed or killed by pseudo science ruled by theology. Because they were deprived of the human identity. The sick relationship between psychiatry and theology is a betrayal of the psyche. James Hillman, Re – Visioning psychology. Because that way they can dismiss worsening of hallucinations, depression and cognitive decline in those they treat. And bill them for “meds” until they die. “Transitive diagnosis” still seems to medicalize distress as being somehow abnormal. Why bother with diagnosis at all? Why not talk about ongoing learning and development of new understandings of the world or new skills for approaching problems facing the client? Stop diagnosing people with pretend “illnesses”. Find no enemy in juvenile behavior. Open dialogue with people who act out. They can be understood if people are willing to listen to them. That is what I have always found. If we assume that the person has a purpose for their behavior, and that our job is to understand it rather than just stopping anything we find inconvenient or uncomfortable, we can make real progress in creating better communication and understanding. And guess what, when we do that, a lot of the “bad behavior” goes away on its own. The DSM is a code book for the profit of scapegoating. It is pretending to be scientific but it is mostly about shaming people and putting them down. The DSM should be condemned. The DSM is very useful to overzealous prosecutors and to families that want to hide their own negligence. We need to opposite approach to juvenile justice. We need dialogue and restorative justice. It seems so odd that those in the field are comfortable with the idea that we can choose the theoretical framework we like or don’t like. Can we decide we don’t like the “theoretical framework” for cancer? If some people don’t like the idea that it’s an overgrowth of cells, and prefer to think of it more as a focus of negative energy, and others see it more as a new evolutionary pathway, do they get to pick? Real diagnoses refer to real, observable, measurable physical phenomena. No one has to vote on whether a broken leg is broken, or how you fix it. The very fact that we’re having this kind of discussion is proof enough that the “professionals” don’t have any idea what is going on. STOP DIAGNOSING, at least until you actually figure out what small percentage of the “mentally ill” actually have an observable physical problem you can see, measure, and effectively address! It won’t be popular, but how about using the criteria for real medicine’s diagnoses for “psychiatric diseases”? Thus post partum depressions and psychoses would be categorized as forms of copper intoxication, for example. 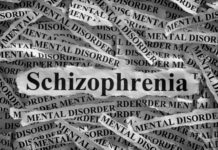 The “schizophrenias” would be broken into their components based on what was physically going on (e.g. pyroluria, cerebral allergies, subclinical pellagra, etc.). Psychiatrists wouldn’t like it, because they’d have to think, but the patients would have a decent idea of what was going on, unlike most of today’s “psych” patients. As long as there are tests that can reliably and objectively distinguish one category from another, we can have actual diagnoses. But I very much doubt that all or even most of the people currently diagnosed will fit into any of these measurable categories. I saw my psychiatrist, he says I have Mary Poppins disorder, I seem to confuse umbrellas with parachutes. There’s no cure, he says, I’ll be on a spoonful of sugar for the rest of my life.